Just due north of San Francisco in the illustrious, beautiful and magnetic Marin County is Novato. This Northern Bay Area town boasts a population of almost 52,000 people and many days of good weather throughout the year. With a quaint downtown stretch marked with small restaurants and shopping opportunities, Novato is a beautiful escape from the loud hustle and bustle of San Francisco, Oakland and the metropolitan center of the Bay Area. 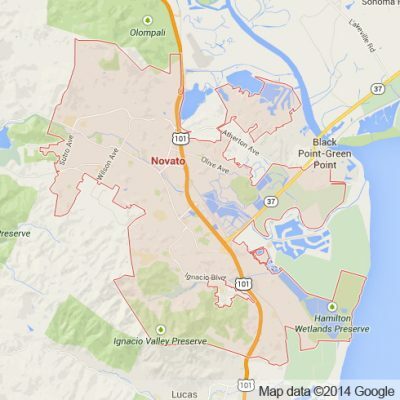 On the other side of the historic Golden Gate Bridge, is the serene landscape of Novato. Novato is home to a wide range of incredible outdoor landmarks and destinations that are enticing and worth exploring. Mount Burdell and Mount Burdell Open Space Preserve, Big Rock Ridge, Rush Creek, Little Mountain and Loma Verde are some among the many destinations that any lover of the outdoors will surely enjoy. Apex Limousine Transportation is proud to be Novato’s number one luxury Limousine Transportation provider. At Apex Limousines we specialize in a number of comprehensive limo and sedan transportation services. We understand how much time, energy and effort go into organizing a wedding. Every piece of this complicated puzzle must fit just right or it will not work. We work directly with the couples, families and planners responsible for putting together and fine tuning the wedding day plans. No matter what the size or scope of the wedding in question our customizable wedding day limo transportation services are able to make this special day unforgettable and luxurious. Our wide range of SUVs, limousines and sedans are also perfect for junior proms and senior balls. Our limo drivers are committed to professionalism and always ensure the safety of our guests. We are a favorite among parents and students alike because our junior prom and senior ball services provide optimum safety as well as entertainment. We also provide pick ups and drop offs at any of the Bay Area’s major airports – including SFO, OAK and SJC. If you and your friends are looking to do something exciting with your Friday or Saturday night, we also offer limousine services to and from San Francisco. With a wide range of restaurants, bars, parks, events and other attractions, San Francisco is a perfect place to go out with friends. We are flexible and able to make your night out on the town memorable and a truly great time. Another special service we provide is Napa Valley Wine Country Tours. We bring our guests to and from a drop off and pick up point in Novato of their choosing and bring them to the best Napa Valley wineries and restaurants. Experiencing the beauty of the Napa Valley in one of our pristine limousine vehicles accentuates the grandeur of everything the Napa Valley has to offer. We promise that when you ride with Apex Limousine Transportation you are riding with the best that luxury transportation has to offer. There is a reason we are Novato’s number one limo transportation service provider. Join us and find out why. Please call us for car service all inclusive total for Novato to/from Napa Valley transfer.